The investment and financial services industry has almost universally supported the rejection by the European Parliament of the draft regulatory technical standards (RTS), aiming to provide a framework to packaged retail investment and insurance-based products (PRIIPs). As reported yesterday, the draft regulation, which has faced criticisms across Europe, was rejected by MEPs as it was so “flawed and misleading” it could lead to retail investors losing money instead of protecting them. The PRIIPs’ RTS had been returned to the EU Commission for revision yesterday with MEPs passing a resolution calling for changes to legislation on PRIIPs by 602 votes to 4, with 12 abstentions. The vote in Strasbourg followed a recommendation from the European Parliament’s economics committee earlier this month, as reported, to vote down measures relating to PRIIPs such as investment funds, insurance products and derivatives. Although rarely used in financial matters, a cross-party grouping of MEPs invoked the powers to reject the rushed proposals, and asked the commission to listen to “legitimate concerns” from companies that provide these financial products. European Conservatives and Reformists (ECR) chairman and London MEP Syed Kamall was one of the MEPs that sought the rejection. He said: “This is the first time ever that the parliament has used its powers to reject technical standards in this way, but we have been left with no choice but to press the nuclear button. These current proposed standards could hurt high street investors. It is still planned that the PRIIPs legislation will come into force on 31 December, with the European Commission now looking to get a new RTS revised implemented and agreed upon in time to meet the deadline. 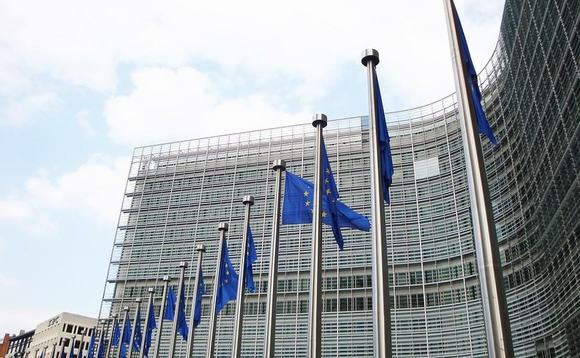 John Dowdall, managing director at data specialists and PRIIPs analysts Silverfinch, said that he has heard hear from “sources in the EU Commission” that they intend to have a revised draft ready for another parliament vote in October. “While the Level One requirements have been agreed, it is the date of implementation which is still to be confirmed – this will also be decided at the next parliamentary vote,” he said. “We strongly support this rejection of the existing RTS and look forward to the revised standards to ensure that these are better fit for purpose. Thomas Richter, chief executive of the German investment funds association BVI, applauded the EU parliament and called for a 12 month extension to the PRIIPs implementation date. “It is absurd that the European Commission considers that the PRIIPs regulation could enter into force without the complementing technical standards. Regulation and standards need to come hand in hand, otherwise there is a risk of diverging implementation at national level. In the UK, Florian van Megen, retail markets specialist at the Investment Association, said that the proposed rules would have led to “extremely flawed and misleading” retail investor disclosure. “We would urge the commission to amend the presentation of costs and charges and improve the performance disclosure by adding historic performance alongside future scenarios,” said van Megen. “While past performance is not a guide to future performance, the inability to see the historic delivery of a product is risky for consumers. Although we do not disagree with the inclusion of future performance scenarios, we do not believe these should be given in isolation. “We are fully supportive of comprehensive costs and charges disclosure, but the rejected suggestion is based on assumptions rather than real delivery. Not only could it mislead investors by not showing what they will actually pay but it also makes the comparison of different products impossible,” van Megen added.